KATHLEEN KELLY begins the 2018-19 season on the heels of a successful recital tour with mezzo-soprano Jamie Barton and an acclaimed scenes concert at the San Francisco’s Merola program. The year ahead begins with Madama Butterfly at Opera Columbus. It continues on recital stages with Jamie Barton, Caitlin Lynch, Michael Kelly, Ariana Strahl, Jonathan Lasch, and Monica Dewey. All through the year, Kathleen will continue her coaching work with new and established artists, most especially with the students at the Cincinnati College-Conservatory of music, where she joins the faculty in September. Kathleen enjoys a wide-ranging and dynamic musical life as a pianist, opera coach, conductor, and master teacher. The first woman and first American named as Director of Musical Studies at the Vienna State Opera, Kathleen joined the faculty of the University of Michigan in 2015 as that school’s first Coach/Conductor of Opera. There, she has led performances of Giulio Cesare, Gianni Schicchi, L’heure espagnole, Cosi fan tutte, and A Midsummer Night’s Dream. Since her return to the US, Kathleen has led performances of Le nozze di Figaro at Wolf Trap, the premiere of Emmerich Kálmán’s Arizona Lady at Arizona Opera, and Francesca Zambello’s critically acclaimed Ariadne on Naxos at the Glimmerglass Festival; that production was a finalist in the 2015 International Opera Awards. She also conducted the West Coast premiere of Ricky Ian Gordon’s A Coffin in Egypt, starring Frederica von Stade. Kathleen has performed internationally as a recital pianist: at Weill Hall, the Terrace Theater at the Kennedy Center, Vienna’s Musikverein and in the Mahlersaal of the Vienna State Opera, Manhattan’s Neue Galerie, on the Schwabacher Series in San Francisco, at the Tucson Desert Song Festival, and at numerous universities and colleges across the United States. Her recital partners have included Jamie Barton, Christine Goerke, Michael Kelly, Troy Cook, Amber Wagner, Susan Graham, Albina Shagimuratova, Valentina Nafornita, Joyce DiDonato, and Thomas Hampson. She has curated art song series for the Houston Grand Opera and the Vienna State Opera, and currently is artistic director of the Kerrytown Concert House in Ann Arbor, Michigan. Kathleen has taught master classes all over the country, most recently at Arizona Opera, Wolf Trap Opera, the Castleton Festival, Arizona State University, Western Ontario University, Vanderbilt University, Rutgers University, and Baylor University. 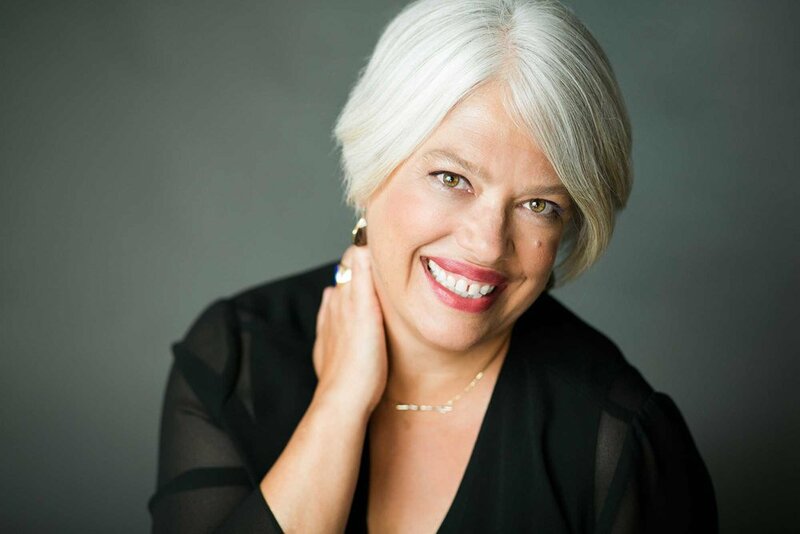 Kathleen is a regular guest coach for Washington National Opera’s Domingo-Cafritz program, and works regularly with young artist programs nationally, notably at the Los Angeles Opera, the Chicago Lyric Opera, Michigan Opera Theater, and the Houston Grand Opera. While on faculty at the University of Texas at Austin, she was the principal coach of the Butler Opera Center. Kathleen Kelly was trained in the Merola Program at the San Francisco Opera, after which she joined the house music staff as pianist, rehearsal conductor, and prompter. She was an assistant to James Levine at the Metropolitan Opera from 1997-2006, specializing in the works of Wagner, Strauss, and Berg. During that time, due to her success as a prompter and musical assistant, she was the focus of a Wall Street Journal article and a Metropolitan Opera radio broadcast feature. From 2003-2008 Kathleen was also the Music Director of the Berkshire Opera, conducting two productions each summer and overseeing the young artist program. Kathleen moved on at the invitation of Maestro Patrick Summers to become the music director of the Houston Grand Opera Studio as well as that company’s Head of Music Staff from 2006-2010. Highlights of these years include conducting her own chamber music arrangement of Hansel und Gretelin remarkable production by Basil Twist, serving as pianist each year for the Eleanor McCollum competition, and curating the HGOS recital series at Rienzi. At the Vienna State opera from 2010-2013, Kathleen oversaw the daily musical life of more the fifty ensemble singers in more than fifty operas, the world’s biggest and busiest season. At the Staatsoper she also curated a recital series in the house’s famous Mahlersaal, and served as the series’ principal pianist. She was the recitative accompanist for new productions of Le nozze di Figaro and Don Giovanni, and assisted Maestro Franz Welser-Möst on new productions of Kat’a Kabanova and Z mrtvého domu. Kathleen has also been notably associated with the Glimmerglass Festival’s Young American Artist Program, the CoOperative Training Program at Westminster Choir College, the Seattle Opera, Opera Australia, and the Moscow Conservatory. Additionally, Kathleen is gaining recognition as a writer of articles, translations, and original texts. She has written lead program articles for Wolf Trap, Houston Grand Opera, and Arizona Opera. For the Arizona Lady performances, she created a new trilingual adaptation of the libretto. 2015 saw the premiere of Texanische Liebeslieder, a song cycle by David Hanlon for which she provided the text. In 2016, she is created a new English translation of Hansel und Gretel for Tri-Cities Opera, and in 2017 was commissioned by Wolf Trap Opera to write the libretto for David Hanlon’s opera for children, Listen, Wilhelmina!